Home / Stage Lighting / All Disco, Mobile, Stage Lighting / Chord BMS01 Boom Microphone Stand. Great Quality, buy at Lowest Prices! 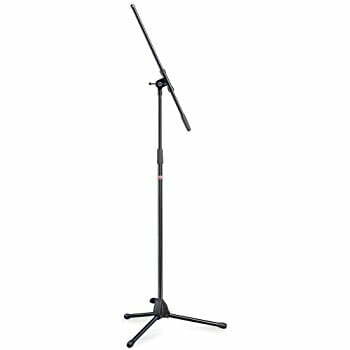 The Chord BMS01 Boom Microphone Stand is a Heavy duty microphone stand with adjustable boom, ergonomic height grip and foldable tripod base. It has Ergonomic adjustment fittings and includes cable retainers.